Text messaging via mobile devices has become a general means of communication within our culture and workplace. However, traditional text messaging methods have severe security limitations because the sender cannot be assured of the privacy and confidentiality of sent messages. 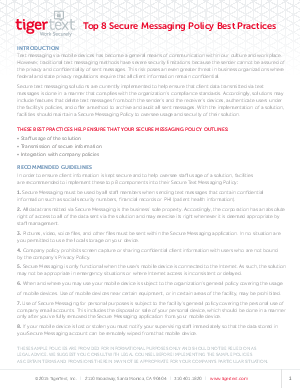 This risk poses an even greater threat in business organizations where federal and state privacy regulations require that all client information remain confidential.